Wiland, Inc., a leader in advanced data-driven marketing solutions, has announced the launch of its new business intelligence product: Wiland Insights™. Created to make an organization’s business data clear and actionable, Wiland Insights™ enables users to explore, visualize, and leverage information in ways never before possible. The product is designed to meet the needs of multichannel retailers, nonprofits, and other organizations that generate large amounts of transactional data. 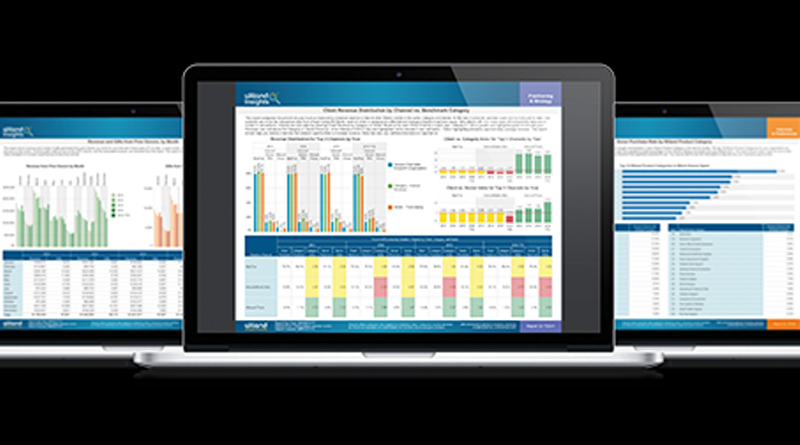 One of the most powerful features of Wiland Insights™ is its series of benchmark reports. Leveraging the comprehensive consumer data contained in the Wiland Database, benchmark reports enable a business or nonprofit to see how its performance metrics compare with those of others in its category—information never before available to most organizations. For more information about Wiland Insights™, visit www.wiland.com/insights. Wiland, Inc. is a leading provider of marketing audiences, marketing optimization, and business intelligence, serving thousands of leading organizations in a wide variety of industries. Leveraging its vast database of transaction-level data, predictive analytics, and sophisticated audience modeling techniques, Wiland delivers a comprehensive set of products and solutions that fuel its clients’ success in all marketing channels. For more information, visit www.wiland.com.